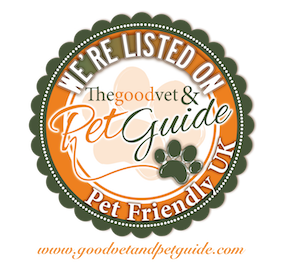 Our assessment period lasts for the first 40 hours that a dog spends with us so that we can monitor all aspects of their behaviour whilst the dog encounters a wide variety of situations and other dogs. In some day care establishments a dogs emotional state is very often overlooked or not even taken into consideration – not at Doggy Days!! 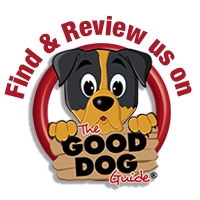 During the first part of the assessment process we look at a dogs reaction to the premises, to noise, to staff and their general demeanour. This is all done as soon as the dog walks onto the premises and is conducted in the reception area. Next we start to introduce the new dog to the non confrontational dogs (the older dogs or well mannered dogs who’ve have seen and done it all and can still tolerate puppies or new dogs) and then we gradually move onto the the rest of the group. This could happen in the first hour or it may take the whole 40 hours – it very much depends on the dog as we go at their pace. If a dog is uncomfortable we go back to a point where it was comfy and build on that before moving on. Once in the main creche, we start monitoring how the new dog is if we introduce food, toys or staff attention all the while looking for any signs of stress or over confidence. We always encourage nice manners – no over excitement, jumping up or bullying other dogs. Dogs very quickly learn the boundaries in creche. A written “school report” is given to the owner at the end of each assessment session. This is to inform owners of the progress their dog is making as well as highlighting any areas that may need some attention in creche or maybe at home. Sometimes, we can suggest “homework” if we feel this may help the dog to make progress. 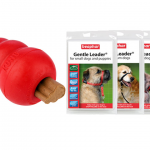 To help with homework, we have a recommended range of products to purchase; items which we use in creche to help with manners, such as training treats, head collars and anti-pull harnesses. There are also interactive toys such as Kong and treat puzzles which can provide mental challenges or help to break boredom at home. 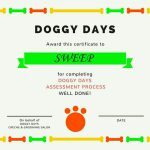 At the end of the assessment process, each dog will receive a certificate, to acknowledge their achievement. Some dogs can take longer than 40 hours to reach their certificate, and that’s ok – we are here to help them make it! 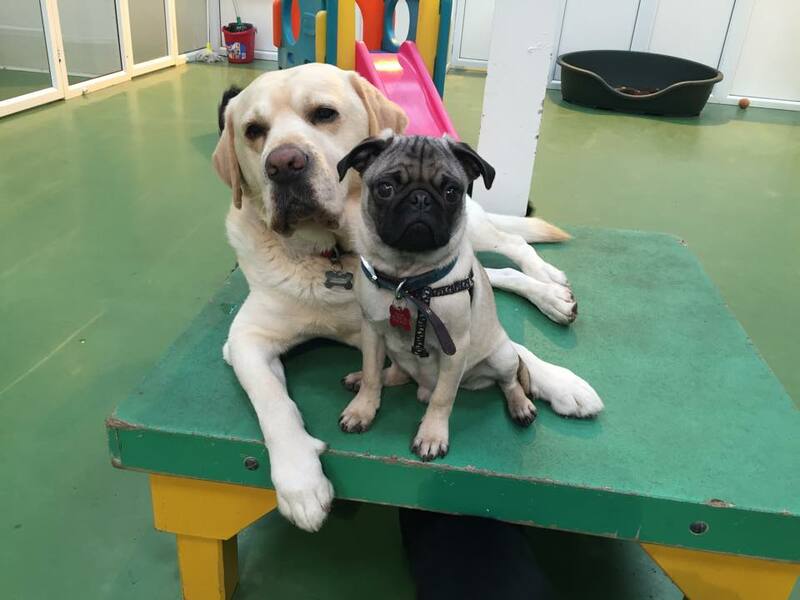 If a dog is not suited to this type of setting – perhaps he or she is just too nervous and doesn’t enjoy creche, the assessment process gives us the opportunity to advise the owner that perhaps this is not the place for their dog – its not about bums on seats or paws on floors!!! Its about happy, contented dogs and owners having complete peace of mind knowing that their dog is in the safest of hands. At Doggy Days, it really is “ALL ABOUT THE DOG”! At Doggy Days along with our dog crèche we have a dog grooming salon and is especially designed to promote a relaxing atmosphere for your dog.